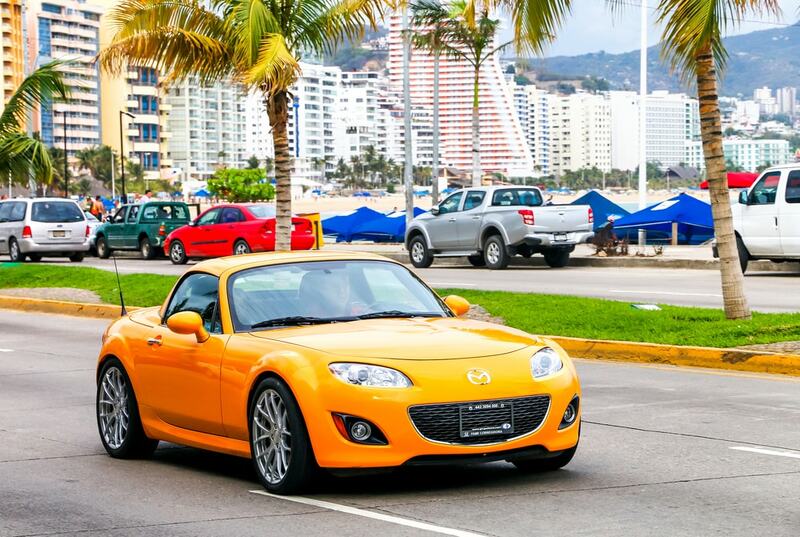 Japanese automaker Mazda has been making Miata roadsters for more than 25 years. And I hate to break it to some automotive snobs: there has never been a bad Miata. It was based on one-upping classic British roadsters. 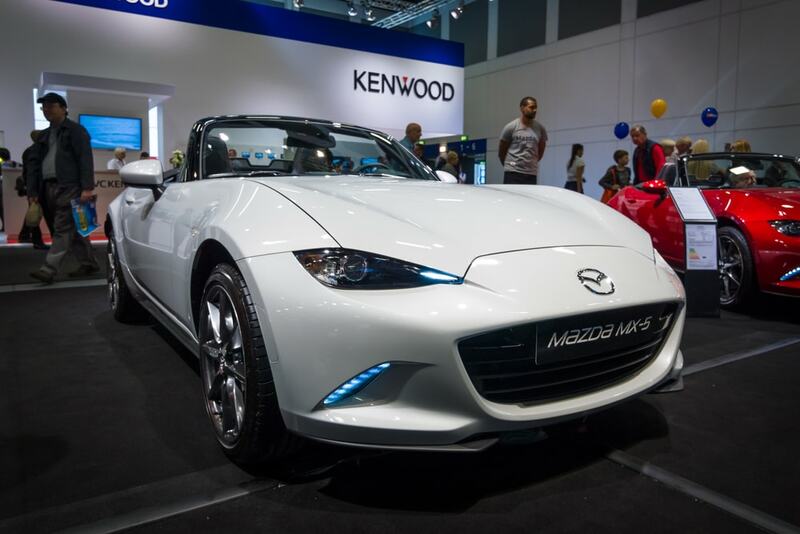 However what Mazda ended up doing was infusing the British roadster design with the known reliability of Japanese engineering. With a combination of low weight, low power and a combined rear wheel drive with manual transmission, the Miata is an icon. Fast forward nearly 3 decades later and Mazda is still finding ways to keep the Miata in the conversation. Today we now have the RF or “retractable fastback.” It is a folding hard-top convertible roadster but it also has some added luxury and style in addition to performance updates. How Does the 2017 Mazda Miata Look? Another thing of note is just how small the car is. You can probably fit 2 Miatas inside of a full sized SUV. At 4″ 1′ Miata can disappear from the rear-view mirror when following larger cars and trucks. Ok let’s be honest, the Mazda Miata has never been known to have much room. It is tight, and more than a little cramped. Mazda went all-in in terms of how much they aggressively cut weight and space down to the minimum. The new Miata has no glove box, in fact your owner’s manual and documents only fit in the trunk. You have a 12v outlet is tucked under the passenger-side dashboard. Thankfully, there is a USB charger front and center. However is should also be noted that the Miata’s interior luxurious enough that you forgive how cramped it actually is. This is par for the course with most lightweight sports cars. The interior is mostly leather. You also do get Mazda’s infotainment system. It is one of the best made ones in modern cars and can sync with both iPhones and Androids. How Does the New Mazda Miata Drive? Short answer: it drives really well. The car has really good weight distribution and balance. This makes for the same kind of handling and grounding you might find in a top of the line Porsche. Even with a mere 2.0-liter four cylinder pushing out 155 horsepower, you feel agile. The Mazda Miata starts at $32,620. Add $300 for special soul red coloring, $130 for new keyless entry and an extra $875 destination fee. In total a fully equipped top of the line Miata now costs $33,925. You can order a base Miata for under $25,000, but know that you cannot get the RF on it. So a “base” Miata with a retractable hard top costs around $31,555. To put things into perspective, the Miata’s only real competition come as the Toyota 86 and the Subaru BRZ. Ibn reality since those are the same car, the Miata has only competitor. For a four-cylinder, manual sports car for under $35,000, those are your only other options. Oddly enough, the next cheapest roadster to any of those cars is a $60,000 Porsche Boxster. A lot of gearheads tend to dismiss the Miata. That is a mistake. 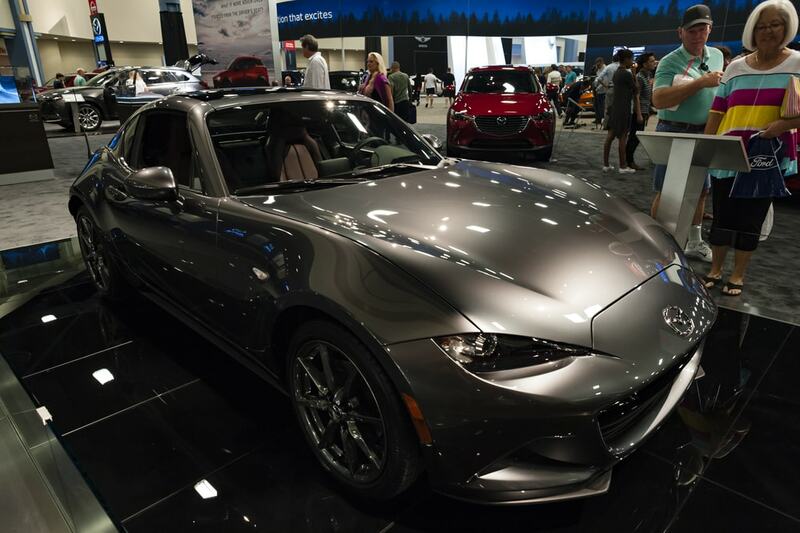 The Miata is elegantly designed, it is utterly captivating and drives incredibly well. If you are in the market for a solid and reliable sports car with a dash of prestige, the Miata is a good way to go.